Together with his partner, The-Environmentalist initiated a revision of the controlled air circulation system, incorporating a new cleaning system which will lead to the best cleaning results in the world. 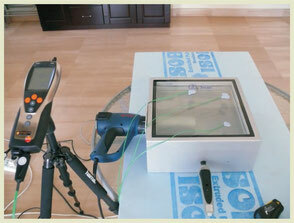 Most important is that people do not need to change any filter for pollen or dust. The-Environmentalist is sure that he can filter 99,…% of dust and hazardous particles, which is very important for the health of our children and our selves. We as humans need a place to rest and recover our body from the pollution. Blue Air Control is part of the Blue Ecopower system. 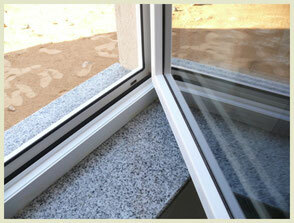 It is an air and climate control system that is based on water instead of treated air. It provides the most healthy and comfortable living environment available today, allowing occupants a hygienic, fungus, allergy and draft free existence. Humidity will be increased or reduced to approximately 45% and providing ideal conditions for the well being of the inhabitants. Particles causing allergies or diseases will be filtered. An exchange rate of up to eight times of the volume per hour can be achieved without experiencing any draft. 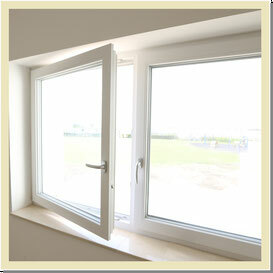 Windows can be kept close, resulting in a substantial reduction of energy costs. At the same time security and comfort are improved. An innovative cooling system will be integrated in the ceilings. Since water is used as the medium the typical negative effects associated with forced air causing hazards to the health can be avoided. This system is adjustable. A central and cost efficient chilling unit will provide cold water, saving up to 90 % energy. The climate control is based on water as a medium instead of treated air. We are providing a healthy and comfortable living environment without all problems regarding to hygiene such as fungus, allergies, and draft. With the Cooling-Ceiling, Blue Building offers an intelligent and sophisticated system, which keeps both building costs and energy usage to a minimum.The Cooling Ceiling effectively cools the room without developing drafts or creating noise that exists with conventional air-conditioning units. 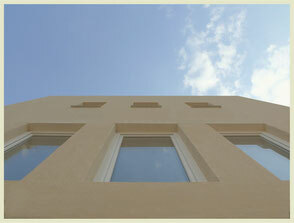 The technology is based on the piping system which is cast into the ceiling according to the ceiling plan. In operation together with a reversible heat pump, the system can be used for extensive air conditioning in the summer. Cold water flows through the piping system in the ceiling to absorb excess heat from the air in the room, reducing the temperature of the ambient air. Every ceiling element is individually manufactured according to plan. A fully cast piping system covering the entire surface of the ceiling is what makes our ceiling such a highly efficient heating and cooling system. Tent areas in the summer to sit outside with app. 26° C or less. The flocks are collecting condensing water, - seat area free of dripping. A special developed light is throwing electrons by their natural gyrating way (around their Atomic Nucleus) with high intensity into the material. So the molecular structure will be modified, the material will never be the same. 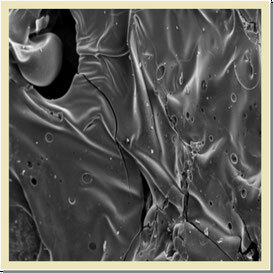 This modification of molecular structure becomes stabilized and mineralized during light bombarding and mixing with a fluid. The electrons fill the vacant places of thrown electrons. The crystal form can be shaped differently to the original material and the parameters of the modification. The accrued crystals on the surface are now mechanically not more removable (rubbed off, dust down ...). No matter how hard you try to destroy this, the crystalline inorganic material remains present in the organic substrate of the boundary layers, which act as focal points for the formation of cement. More sound insulation or more thermal insulation? More design or more economic efficiency? These combined requirements on modern new buildings or renovations have increased significantly over recent years. The window always plays a key-role in this regard, because, as an especially sensitive part of the house, it contributes significantly to the buildings overall design, including energy consumption, sound insulation and security. We are setting new benchmarks – but not just with the high performance of our PVC-U windows. This new generation of profiles strikes just the balance between diverse technical requirements – between what is desirable, and what is feasible. 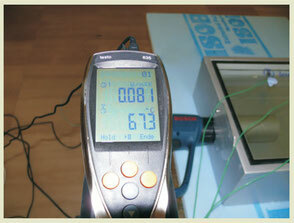 Heat protection glass, triple glass with a Ug value of 0.5W(m²K) in accordance with the DIN EN 673. When constructing a low energy building one of the biggest hurdles to energy consumption is thermal transfer through glass. However, using a combination of Pascal Stone and Vacuum technologies the Blue Building Foundation has created “Blue Glass” that has an unprecedented U value of less than 0.1, whilst minimizing glass usage to a simple double glazed unit. 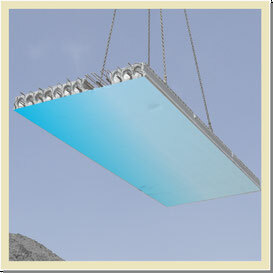 Furthermore, the technique for producing Blue Glass creates extra strength in the glass, so much so that single sheets of glass are produced to bulletproof standards; hence the applications for this type of glass go much further than just building and construction.